Located in the western Boston suburbs, Wellesley College is the famed alma mater of notable female Chinese figures like Soong Mei-Ling and Bing Xing and US presidential hopeful Hillary Clinton. 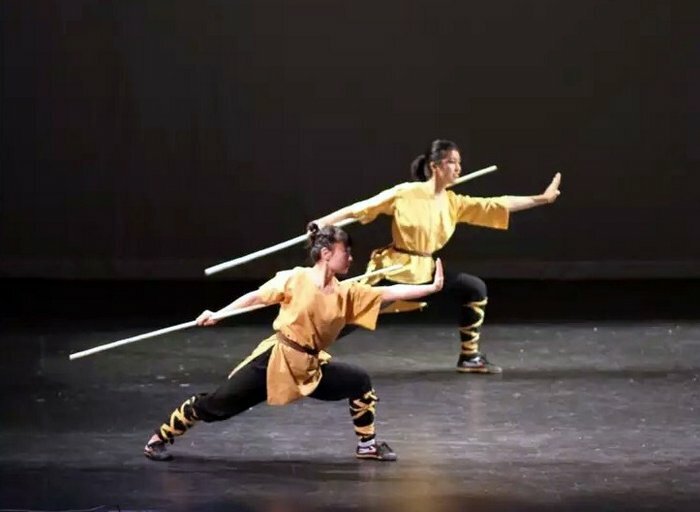 Recently, the Wellesley Wushu Team attended the 2015 Cultural Day event on campus, featuring a 9-minute wushu performance with demonstrations on all sorts of Chinese weapons： straight sword, broadsword, three-section cudgel and staff. Their performances garnered enthusiastic cheering from about a thousand audience members composed of distinguished professors and students alike. Group picture of Wellesley College Wushu Team （photos provided to bostonese.com). 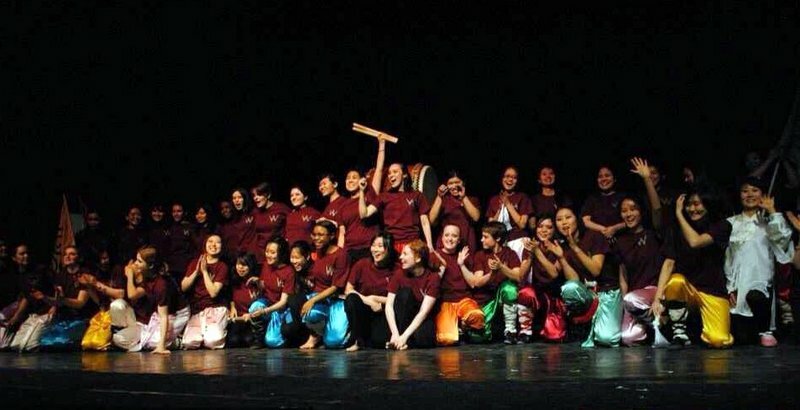 Established in 2008, Wellesley Wushu Team is the largest college wushu group in the Greater Boston area. Participating on the team grants students a small amount of physical education credits through the college. They participate in eight to ten performances a year, with recent performances including Harvard China Day, MIT’s Chinese New Years performance, Wellesley Chinese Student Association’s cultural show, joint performances with Columbia and Cornell University, and performances at Harvard Medical School. Wellesley Wushu Team’s success as a team is largely associated with the hard work and dedication of their two coaches, Calvin Wang and Xiaoyi Chen. Wang has coached Wellesley Wushu for about four years and is also the coach for the Harvard Wushu Team. He is the recipient of the national competition ICMAC’s highest award. As a coach for Wellesley Wushu for the past two years, Xiaoyi Chen first arrived in Boston in September 2012 to pursue a Master’s degree at Northeastern University. In her three years here, she has continually promoted Chinese wushu and culture. Xiaoyi Chen says that she has practiced wushu since she was young and graduated in 2012 from Beijing Sports University with a degree in wushu. She is a first class judge and athlete in China as well as the youngest holder of the wushu sixth degree in China. Chen has already won many national and international championships, including four gold medals at the Hong Kong Wushu Festival, a tournament with over 7000 competitors. Now residing in Boston’s Chinatown, Chen participates in a lot of wushu performances and activities. “I hope to get more people interested and excited about Chinese wushu. I’m proud to promote wushu in the Boston area,” Chen says. She is thankful for the support from the general public for Wellesley Wushu.